In 2017 CETEC conducted an Indoor Environmental Quality assessment (using the NABERS protocol) of the university’s iconic Rose Bowl building. 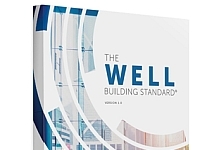 This assessment along with the findings from an occupant satisfaction survey provided significant insights and opportunities to improve occupant wellbeing and performance. 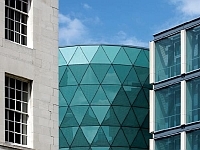 The findings have been embraced by the Estates team at the University, who now wish to extend the evaluation to other buildings on the campus. In 2017 CETEC conducted Indoor Environmental Quality in both office buildings and retails centres for a variety of JLL’s UK clients (in London, Glasgow, Manchester) including Facebook, Workspace Group & Zurich Insurance. These assessments have helped confirm their relative office IEQ performance. CETEC is proud to be part of the team of experts providing WELL Performance Testing services to GBCI. CETEC provided an IEQ assessment with recommendations for five offices and two work labs in early 2017. The study showed the value that can be attached to locations that are naturally ventilated, but comparatively shielded from busy roads, which can be a source of pollution and noise problems. 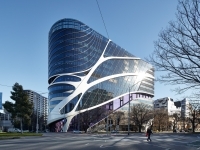 During construction of Victorian Comprehensive Cancer Centre the CETEC team conducted air exchange effectiveness testing, microbial infection control assessments and other building risk assessments. In May 2016, ISPT engaged CETEC to conduct annual Indoor Environment Quality testing of more than 45 buildings in ISPT’s Commercial and Retail Portfolio. This project also includes NABERS IE Base Building Ratings. CETEC has provided this IEQ assessment service to ISPT since 2012. Since 2013, CETEC has provided Legionella risk management expertise and services to more than 100 hospital and other high risk sites. 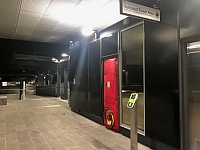 In early 2017 CETEC conducted air tightness testing at four new train operator offices in inner suburban Melbourne. This testing will assist John Holland in receiving Green Star innovation credit points. 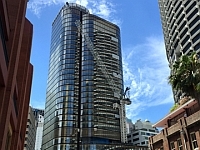 In 2016 CETEC conducted performance tests for Mirvac to verify that their Sydney HQ office building was meeting air and water quality preconditions in accordance with the WELL Building Standard. 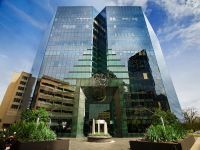 In March 2017 Mirvac were awarded the first WELL rating in Australia for 200 George Street. 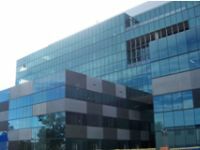 CETEC was contracted by Lend Lease in early 2016 to conduct air leakage and tightness for a hospital ward at the New Bendigo Hospital. 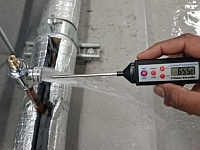 Air tightness testing, using high powered fans and other equipment, ensures that any unwanted gaps or cracks can be identified and addressed at the appropriate time prior to final construction signoff. In 2013 CETEC was one of a small team contracted to develop the Guidelines for Managing Microbial Water Quality in Healthcare Facilities. 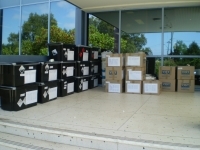 CETEC was also charged with providing independent scientific advice to Queensland Health. In 2013 and 2014, CETEC conducted a third party review of the new hospital laboratory and bulk store design for non-conformances against relevant dangerous goods standards. Since 2013, CETEC has been assisting Monash Health with ensuring current best practice for hazardous materials management and also with the provision of occupational hygiene services at their diverse range of facilities in Melbourne’s south east. 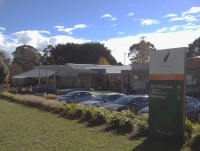 In 2014, CETEC provided expertise to Enhealth on Legionella Control in the Operation and Maintenance of Potable Water Distribution Systems in Health and Aged Care Facilities project. The final report was published in late 2015. Since 2014 CETEC has provided hazardous management expertise and management for the relocation of chemicals and other hazardous materials plus decontamination of equipment and laboratories. 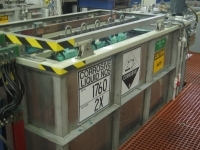 During 2013/4, CETEC conducted an investigation on behalf of ABL's client into a chemical distribution stainless steel pipe system failure through corrosion. 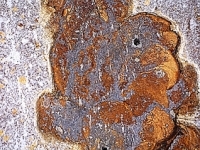 Our corrosion experts produced an investigation report and this was later followed by an Expert Opinion Report on the causes of failure. The case was settled in 2015. 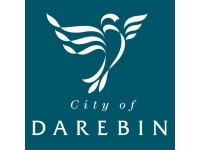 Since early 2016, CETEC has been managing the safe removal and disposal of hazardous materials, from the portfolio of properties owned by the City of Darebin. This involves extensive coordination and communication with relevant stakeholders. 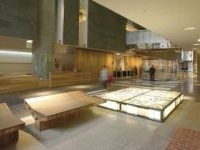 CETEC has also conducted multiple Division 5, 6 and hazardous material audits for the council as part of this project. 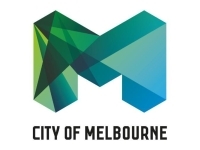 Since 2012, CETEC has been providing contaminated land management and hazardous materials management services to the City of Melbourne. This has included soil sampling and assessments, preliminary site investigations, soil relocation and management and asbestos audits at a number of different sites. 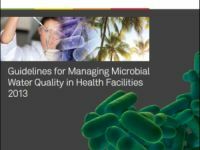 CETEC has provided one of the first Water Quality Risk Management Plans (WGRMP) according to the Guidelines for managing microbial water quality in healthcare facilities. We are currently working a number of others plans for other major healthcare facilities. 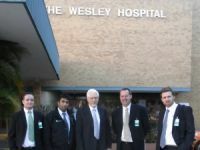 CETEC also conducted a successful water system investigation / disinfection at The Wesley Hospital in Brisbane. 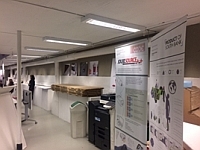 CETEC provided dangerous goods guidance to the design team for the refurbishment of the new Q-Block laboratory and the hazardous goods bulk stores redevelopment. 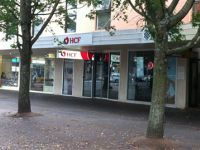 An indoor environment quality (IEQ) investigation was conducted at HCF's Albury shopfront office due to odour complaints received from both staff and visitors. 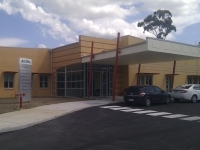 Working for Woods Bagot and the Department of Health, CETEC was engaged to conduct an indoor environment quality assessment of Alexandra District Hospital in regional Victoria. 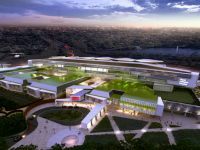 There were three studies conducted including an assessment of the existing hospital, an assessment of the new hospital prior to occupancy, and assessment of the hospital once staff had relocated. NABERS IEQ protocols were used. 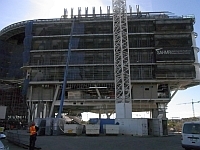 CETEC was engaged by Grocon to conduct Building Envelope Leakage (BEL) and Air Exchange Effectiveness (AEE) testing at the new Biosciences Research Centre, La Trobe University, Bundoora Campus. 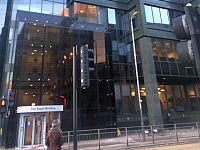 The testing of the facade was completed prior to occupation in order to evaluate a key Green Star requirements. Physical testing was chosen over CFD due to superior output data. 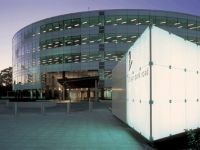 CETEC were appointed to model stack emissions from fume cupboards in the laboratories of the new Sciences Building. A complex mix of compliance requirements, including CASA, Environmental and occupant OH&S created significant challenges. Wind tunnel modelling enabled an accurate risk assessment of expelled contaminants at various location on and around the new buildings. Assessment was delivered on time and recommended HVAC design changes under-budget. As dangerous goods consultants CETEC has conducted a risk assessment of the biological laboratories; chemical and gas storage; gas reticulation and sensor requirements during design phase. 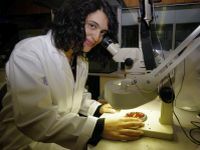 CETEC played a major role in assisting the design team to connect all biological laboratories both horizontally and vertically. CETEC has assisted in calculating expected emission concentrations from the laboratory fume cupboard stacks for physical plume modelling for exposure risk assessing expelled contaminants. CETEC is presently assisting in the construction phase of the project towards the OGTR/AQIS certification process of the facility. 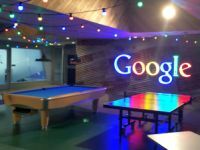 Indoor air quality (IAQ) testing of new fitout of Google's office according to LEED V4 requirements. This type of IAQ testing completed post construction and fitout ensures the indoor air meets requirements for a healthy workplace before occupation. CETEC in conjunction with Brookfield Multiplex have been appointed as Dangerous Goods Consultants to conduct a risk assessment of the chemical and biological laboratories; chemical and gas storage; gas reticulation and sensor requirements during design. In 2012/2013 CETEC conducted Division 5 asbestos audits at over 500 buildings for MPSC. This involved extensive coordination and communication with relevant stakeholders across the Shire. As part of the project CETEC also created a customised asbestos register for the client and held a training session for relevant staff on how to best utilise this tool. 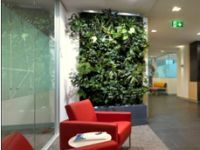 CETEC has conducted a number of NABERS Indoor Environment Quality assessments and work environment productivity assessment (WEPA) for Shape’s offices throughout Australia. 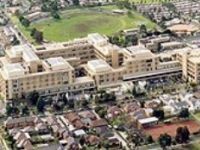 CETEC has also been engaged for hazardous materials audits, decontamination and refurbishment projects at a number of hospitals including Mitcham, Donvale, Beleura, St John of God and Linacre. Following the devastating Victorian floods of both early 2011 and 2012, CETEC was commissioned by the VMIA to investigate and assess the damage and contamination and subsequently involved in pilot remediation. 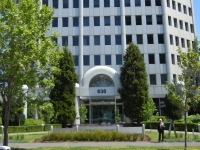 Seen as a flagship study by many within the industry, CETEC conducted a work environment productivity assessment (WEPA) for Umow Lai both prior to and following the refurbishment of their offices in South Yarra, Victoria. Following IEQ measurments and occupant survey Umow Lai has achieved Australia's first 6-star office environment rating by GBCA. CETEC was able to demonstrate a 13% increase in productivity that could be attributable to increasing the indoor environment quality within the workspace. 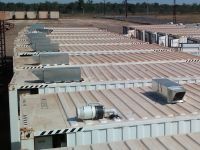 Indoor air quality assessments of Canberra and Port Augusta offices, remote (NT) container and demountable accommodation; Desktop construction materials emissions assessment; Supply of IAQ test kits for remote testing by staff; Design and installation of successful IAQ remediation system in 200 container and 100 demountable accommodation units. 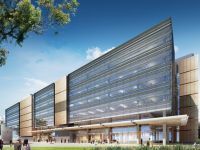 CETEC was engaged by AECOM and The Department of Health to investigate the Indoor Environment Quality of five key operating hospitals within Victoria; all of which have had sustainability initiatives and/or refurbishments conducted over the last few years. 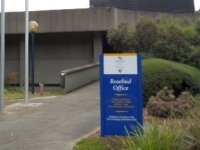 Hobsons Bay City Council has been a key client of CETEC for over ten years. A recent project involved management of hazardous materials and remediation of the site for a community centre that will be completed in 2012. Risk assessment and relocation of dangerous goods in existing research and product testing facility; Preliminary assessment of soil contamination prior to redevelopment works; laboratory design consultancy for new research and product testing facility. 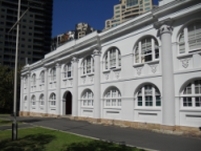 CETEC conducted pre-works assessment at an iconic Sydney site of hazardous materials including asbestos, lead paint, SMF, Ozone Depleting Substances, Polychlorinated bi-phenyls. A detailed Hazmat Register was prepared for demolition. This included the assessment of 2,000 paint samples for lead via Portable Hand Held XRF gun for rapid and detailed in-situ assessment. CETEC's role on this site continues as strategic advisors in relation to hazardous materials OH&S to ensure the safety of all contractors. 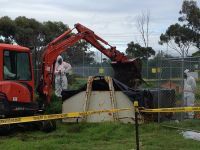 CETEC were engaged to conduct a hazardous material assessment on site which included an assessment of soil and ground water contamination for the DA approval process for Botany Council and public risk. 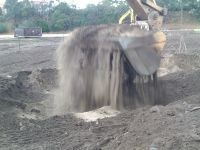 During demolition works CETEC conducted the decontamination of soil. 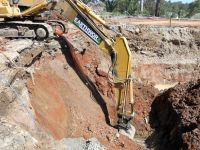 CETEC in conjunction with Rebel Property Group / Meriton Apartments were engaged for the assessment and remediation of soil contamination including contamination resulting from land filling activities, aviation and vehicle refuelling facilities and film laboratories which were located on site. 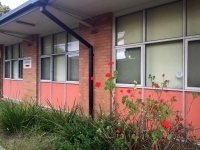 Pre and Post Occupancy Assessments of four Local Government Super (LGS) buildings in Sydney to assess building upgrades to quantify occupant productivity benefits of building upgrades. 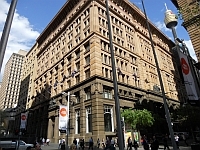 Read more about what LGS achieved at 120 Sussex St, Sydney with CETEC's help. Independent Property Risk Assessments, Hazmat, Indoor Air Quality assessments and OHS risk audits at 30 sites. IAQ monitoring, risk assessment and management of hazardous materials at various manufacturing and storage sites since 2007. NABERS Indoor environment quality (IEQ) ratings assessment at 4 sites plus more than 15 NABERS Energy audits alone for this client. 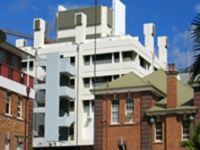 CETEC has conducted a number of decontamination risk assessments and measurement projects in NSW and Victoria in public building environments. 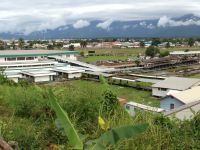 CETEC was engaged in 2014 to hazardous materials audits on a large number of existing buildings at the ANGAU Memorial Hospital redevelopment site in Lae, PNG. Read more about this interesting project. 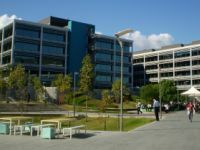 Annual indoor air quality, cooling tower and property risk assessments at 39 OPTUS occupied sites throughout Australia over four years. 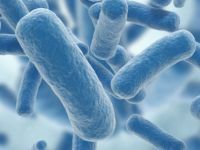 CETEC delivered significant IAQ and legionella risk reduction over the mix of Optus sites. 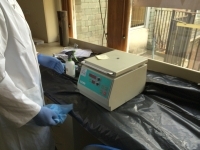 Several projects for assessment and decontamination of laboratories using our trained radiation experts. 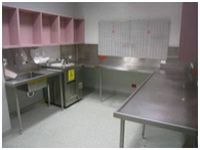 This included hospital cytotoxic laboratory decontamination and disposal using assessment and advanced chemical techniques. 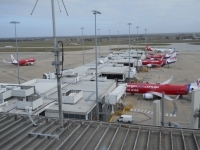 Melbourne Airport (Australia Pacific Airports) has been a client of CETEC for over ten years. CETEC takes a proactive approach to assisting the facility with the management of their hazardous materials on site. We also provide ongoing occupational health and safety advice to management and contractors within the airport.